The Orbi-Shaker Co2 is designed to be tough: To take the harsher environments sometimes needed in labs. The Orbi-Shaker will work in an incubator or cold room with no trouble. It can function in an environment from 0 to 60 degrees Celsius. In order to avoid temperature changes or contamination, the Orbi-Shaker Co2 has its controls on a remote board that can sit outside of the cold box or incubator. That way if you need a change in speed you just press the button rather than open the incubator. The speed can be changed at 1 rpm increments from 30 to 300 rpm. The cable is 60″ long to allow effective placement of the remote board. 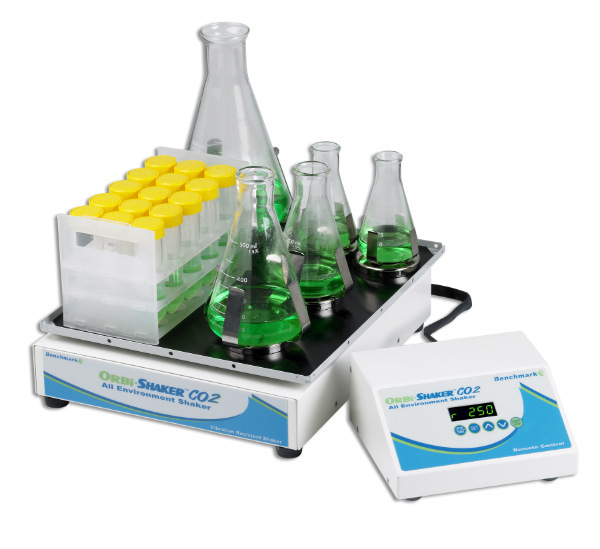 Like its Orbi-Shaker cousins, the Orbi-Shaker Co2 comes with a rubber mat platform, but can also uses the optional MAGic Clamp platform with assorted magnetic flask clamps or you can use the various dedicated flask platforms. 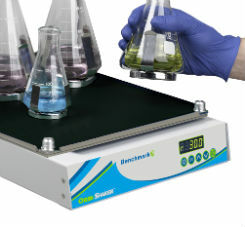 Now lab workers have a true way to work a lab shaker in an incubator with ease! By the way, have we mentioned that the Orbi-Shaker Co2 has FREE SHIPPING in the continental US?